One of the hardest things to do when trying to go all natural is trying to find natural hair care products that don’t cost a fortune. Normal hairspray is loaded with chemicals! You can just tell when you spray it and its hard to breath! Am I right? I grew up with a hairspray loving mom (sorry mom for throwing you under the bus 🙂 and I remember her spraying her hair like it was going out of style! You could walk into the room and it was like you were hit with a wall of hairspray! Have I ever told ya’ll how much I love my mom! She’s the best! 10-15 drops essential oil (here is a great kit with some of my favorite essential oils) – orange, lemon, mint, rosemary (promotes hair growth), or any essential oil you like. You can use one or blend them. My favorite is lemon or orange. Direction: Dissolve sugar in hot water. Let mixture cool completely and mix in essential oils (if the water is too hot the essential oils may decrease in smell). Fill spray bottle and its ready to use. To use: Lightly mist over hair, wait 30 seconds to dry, and reapply if needed. Be careful not to over spray and soak your hair. Plus, this stuff is strong and a little goes pretty far. Side note: People have questioned me whether or not this would attract bugs. From my experience, I have not had any issues with this hairspray attracting bugs! And bugs love me. Super simple to make, works great, and is all natural. Can it get much better that that? Have you ever tried to make homemade hair care products? What was your experience? I saw this on the Rachael Ray Show. Good to know it really works. I will be trying this! This is an awesome idea, but can I remind readers to make sure that if they have pets that the oils are safe for them? There’s an article below with a little more information. Essential oils are toxic to many animals, and for birds, even a slight amount in the air can kill them due to the different way their lungs are structured. I’m looking forward to getting some birdie safe oils and trying this out for myself! Are you spraying your hair with a parrot on your shoulder? What are you doing with your hairspray? LOL nah I am just kidding, but would regular chemical hairspray not be worse? Use young living oils. They are therapeutic grade and even sell essential oils for animals. I am a distributor if you are interested. Pinning to try this out. Doterra essential oils are 100% pure certified therapeutic grade. They not only can be safely taken internally, used aromatically or topically but can also be used on animals. Just as for children, it’s best to dilute the essential oil with a carrier oil (such as fractionated coconut oil) when used on small animals. Yep. I love doterra oils. May I ask how you know they are safe on animals? I asked Justin at HQ and he was unsure. Although doTerra is pure and fantastic there are still oils to avoid with animals. As for attracting bugs it would be about what oil you use. About lemon and other citrus. If it gets on skin stay out of the sun for 12-24 hours depending on the quality of oil. Also on hair with the sun it can lighten hair. I hadn’t heard of this recipe but it makes sense and I may try! Dogs and horses are ok with essential oils because their systems are like humans. Birds and cats are NOT ok with essential oils. Their systems do not allow the essential oils to leave. So the essential oils stay in their system. The hairspray will be ok though. Be careful if you spray directly on the animals or use a diffuser. Citrus oils actually keep bugs away so it should counteract the sugar attracting them. Citrus certainly keeps mosquitos away. Since I live out in the country, I have a concern if this formula would attract insects, bees etc. My thoughts exactly. Talk about your “beehive” hairdo! Sugar water has been used for centuries to keep curls in hair 🙂 Dip a comb into sugar water, comb through a section of hair and roll. Leave rollers in over night (or rag rollers) then remove in the morning for perfect curls. Touch up as needed with sugar water. I like the idea of adding essential oils since you can add the ones that can keep bugs away and still smell pretty. Is it just me or do y’all picture honey bees dive bombing women with beehive hairdos? While your hair is still wet apply a thin layer of coconut oil to your hands and run it over your hair, then towel dry. It doesn’t leave it oily but does produce a nice shine and improves overall hair health. Rosemary essential oil is also good for your hair and scalp. Wont insects be attracted to the sugar? Somehow I don’t think Insects sitting in your hair would be attractive. Citrus oils and some other essential oils they will cause increased sun-sensitivity so if any gets on your skin say around your face this cant be good and I wounder if they do this to skin will they also do this to your hair?. I use many essential oils internally and I’m still alive and kicking. DoTerra is 100% pure grade essential oils and there are only 2-3 you shouldn’t take internally because they are pain relieving oils, every other oil is completely safe to ingest and is safe to use very small amounts On animals. Great recipe! Please note that oils that are not safe for animals are still not safe even if they are Doterra brand! Aura Cacia is a great brand of oils, as an aromatherapist, I have done my research. Thanks again for sharing such wonderful recipes, I love your blog! Sounds great, but I wonder if the water might make my naturally frizzy hair worse? Don’t worry Cindy it doesn’t! I have very frizzy hair! Speaking of frizzy hair do you know of any replacement for my shine spray this producy helps keep my hair smooth. Coconut oil ads a great shine…a little goes a loooong way! I tried this and it worked great!! 😀 Thank you so much for this DIY, you’re simply the best! But I have a question: if I don’t use all the herbal hairspray can I keep it for more than 2 or 3 days? If I can, should I put it in the refrigerator? Awesome idea! Thanks so much for sharing this! Pinning! thanks for sharing this. It’s great. I put in a few drops of coconut oil to give it that beachy smell, also because the bottom of my hair is dry. Also I put some freshly picked, smashed up rosemary and thyme into the hot water and let it sit for 10 min.s before I took out the solid leaves. Also I made a batch with lemongrass essential oil and that smelled fabulous. You have inspired me. Jo, I LOVE your idea and think I will do the same. Thank you for sharing! I’m sorry I just saw this I will link up to your second party this week! I want to try this. I have really curly hair and tried An olive oil jojoba oil mix to help with the frizz. Made my hair super soft but didn’t do the job. Try this diy serum recipe for your hair. It’s great! I have super frizzy hair and it has really helped. Best part is, it doesn’t weigh the hair down. your all homemade things are really good and I am fan of your products. I’m severely allergic to fragrance, and that includes any and all essential oils. Are the essential oils there strictly for smell, or do they serve another purpose? I’d like to make this just with the sugar and water. Thanks! O that’s a bummer! The essential oil is just for fragrance and the slight benefits of the oil! So feel free to omit it! What about adding a bit of Vanilla to your mix. It would add a bit of a nice smell for a while and you shouldn’t be allergic to it anyway. how long till it expires? Please do reply asap. Thanks Amy, talk about a blast from the past. Back in the late ’60’s my friends(male and female) and I all used “sugar water” to style our hair as the only available hairspray (I think it was Final Net) was so stiff and sticky. Yuck. Anyways, thanks for the reminder. I think either the lemon or mint essential oils are bug repellents, reason why they are not attracted to your hair spray. Love this recipe! I’m linking to you from an upcoming blog post on my site. Keep up the awesome work! Aw thanks for the feature! The rosemary and mint are natural bug repellents, as are lavender, lemongrass and cinnamon. The use of rosemary will deter any bugs… as it Is a bug deterrent! What is the shelf life, or is it unknown? 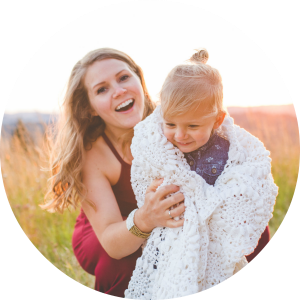 Very curious about the shelf life of the hair spray…I love this idea and am making all kinds of natural products and giving to my kids to get them away from as much of this harmful stuff as possible. Thanks for all the great ideas. Many are asking the same question about shelf life. I, too, would like to know how long it will keep. I’ve been using it for several weeks and am wondering if it’s time to refresh, LOL. I would say the shelf life is months…. I use essential oils that have antibacterial properties. It takes me a long time to go through a batch and I’ve never had any issues. Which oils have antibacterial properties? I’m new to the essential oils. Thanks! Please share if it’s ok with you! I’ve also sent you an email about this via the contact page! I was looking at this recipe and I would love to try it, but is it essential to add the oils? I don’t have oils that you are talking about. Will this hairspray still work without the oils? Thanks! Hey Dolly! You don’t have to put the essential oils in the hairspray. It is totally optional. Thanks!!! Just wanted to check!! It’s a good idea of using natural substance for hair spray, plus Eco-friendly. But I am sure this will attract ants! Can you add jojoba oil and tea tree oil to this and still be effective? How much of each could you put in? I’m unsure I’ve never tried it before. Adding tea tree would be fine but not positive on the jojoba oil. You could always whip up a batch and let me know! I’ve tried a recipe like this only using sea salt instead and with out essential oils, and it worked great! Hmmm never tried it with salt. I may have to experiment! I like trying new things for fun. i am like your mom and love hair spray! I fix my hair spray it and worry free the rest of the day. I like my hair to be stiff and to hold all day. (I agree the cloud of fog is AWFUL) I use an aerosol can now, i have never used a pump hair spray. Will your homemade product do the same for me as my aerosol? All your products are wonderful and loving the natural. How many people out there spray their dogs hair with hairspray? I’m pretty sure if you spray your hair in your bathroom with the door shut and make sure that your dog doesn’t lick your hair when you done he will be fine. My granny used to style her hair with sugar water and my mum says the flies buzzed around but then my mum is prone to exaggeration. Am so going to try this. I love this idea and just tried it. It holds great BUT I can see what looks like water marks/spots where it sprayed. I use them on my bangs so it is definitely distracting! 😉 Any advice how to avoid that or do you know why that is happening? Hmmm Shauna I’ve never had that happen and I use this all the time. You could try to spray it and then comb through it after. Also maybe shake before each use. it’s probably the water you used. some waters are hard water or use limestone. so you will find spots on your dishes and i guess your hair too. I make my own flax seed gel. Works great on my curls! 🙂 I can’t wait to try this too! I’ve made this and when it drys it leave sugar crystals on my hair that don’t go away. Any ideas? I did add a bit of of grass fed gelatin to make a firmer spray. It is firmer but leaves those crystals. They look like white specks on my hair. Thanks so much, I made another one with just the sugar but when I dry it with a diffuser it’s kind of stick/heavy. I didn’t put that much on my hair. When I workout out and that is for 6 days a week, when I sweat in feel yucky on my hair. I wish this could work. my question is how long this DIY hairspray will last ? And its about any DIY beauty product like spray , mists …….how long actually they last? It lasts a super long time. It takes months for me to go through it and I don’t have a problem with it going bad! Thanks for coming by! Hi there, mine doesn’t last at all, maybe a few minutes at the most. I even add more oils to make it last longer but nope. Any ideas? 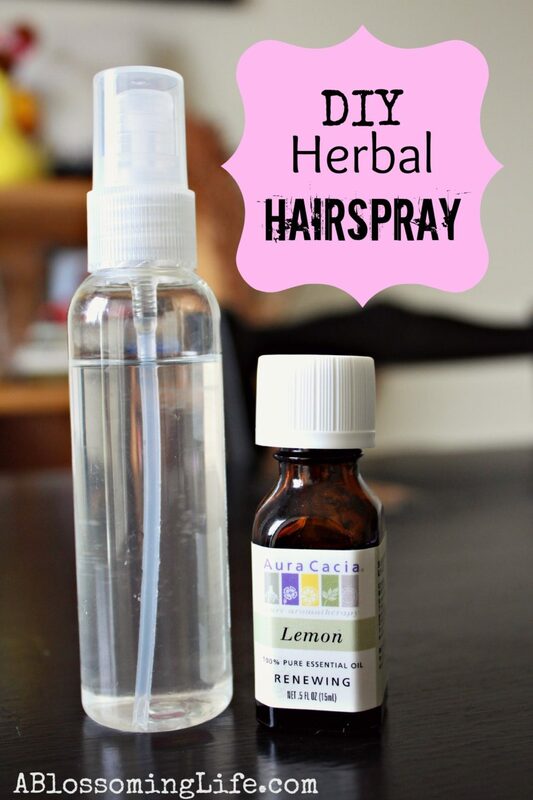 I’m so happy to find a recipe for DIY hairspray…I never knew it was possible! I know what you mean about nearly choking on the fumes, and I love being able to eliminate one more product I have to buy and another container to recycle. Thanks for the recipe!